Members of the Ottawa Real Estate Board sold 1,366 residential properties in July through the Board's Multiple Listing Service® system, compared with 1,321 in July 2011, an increase of 3.4 per cent. The five-year average for July sales is 1,360. July's sales included 304 in the condominium property class, and 1,062 in the residential property class. The condominium property class includes any property, regardless of style (i.e. detached, semi-detached, apartment, stacked etc. ), which is registered as a condominium, as well as properties which are co-operatives, life leases and timeshares. The residential property class includes all other residential properties. "The number of residential properties sold has slightly increased compared to July of 2011, while the average price has slightly decreased," notes Joanne Tibbles, Past President of the Ottawa Real Estate Board. "This may be because lower priced properties in certain areas of the city continue to sell quickly, while higher priced or unique properties are taking somewhat longer to sell. 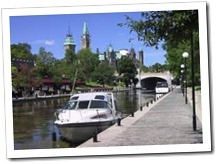 Nonetheless, the Ottawa market generally remains stable." The average sale price of residential properties, including condominiums, sold in July in the Ottawa area was $337,518, a slight decrease of 1.2 per cent over July 2011. The average sale price for a condominium-class property was $265,903, a decrease of 1.7 per cent over July 2011. The average sale price of a residential-class property was $358,018, a decrease of 1.4 per cent over July 2011.